Also Featured on this page are some of the many other designs by Alan Buchanan. There is also an owners assoc. Click the burgee for a link to their site. This is the Neptune and Neptunian range, from an advert in an old Y.M. I have some friends, ex colleagues, who sail one out of Ramsgate! A Cornish sailor has returned to the UK after a 17-month circumnavigation in which he used only an atlas for navigation. 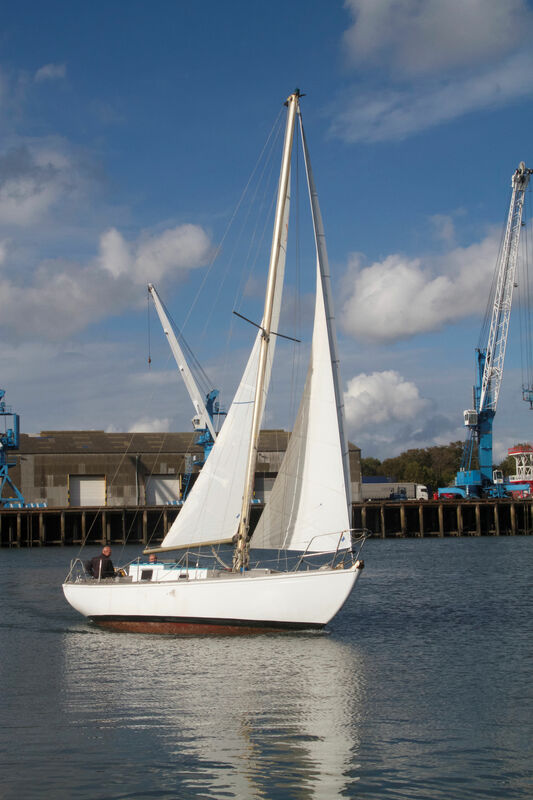 Paddy Macklin, 52, arrived back in Falmouth after a 'traditional' circumnavigation via the three capes on his 27ft wooden Buchanan sloop with no EPIRB or proper charts. 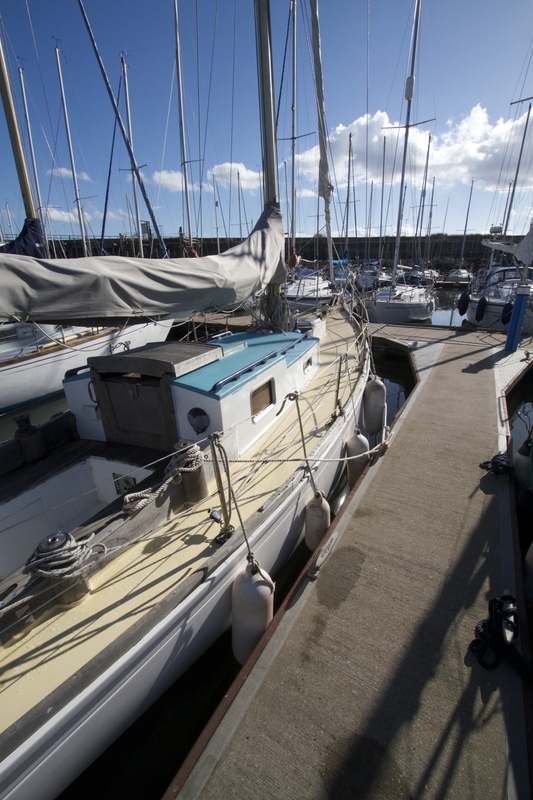 He was feared lost in the Bay of Biscay just weeks into his voyage, when his family could not contact him via his satellite phone in poor weather. But Mr Macklin had wrapped the phone up to protect it and only became aware of the major search operation that had been launched when he heard his name on the radio. 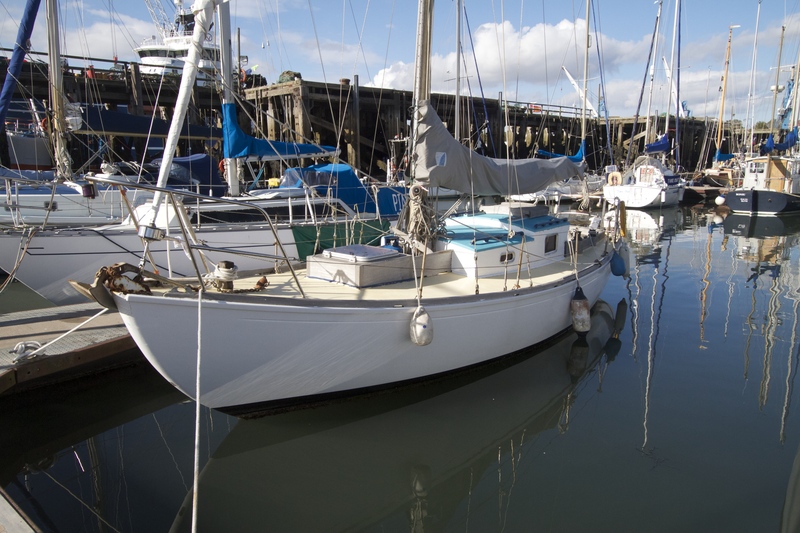 Then the former painter and decorator was forced to stop in Timaru, New Zealand when a knockdown damaged his boat off the Tasmanian coast and contaminated his food supplies. 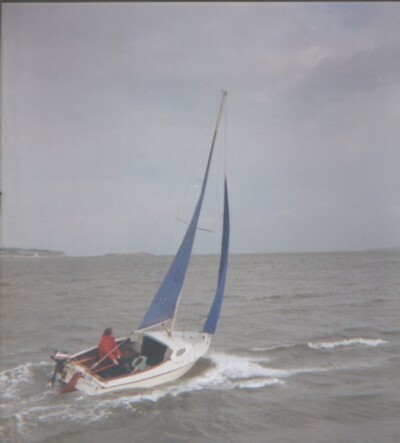 The unscheduled stop scuppered his hopes of beating Sir Robin Knox Johnston's around-the-world time of 312 days. Mr Macklin now plans to sail the North West Passage. 'Brie' This was in the ownership of Robert Ford of Knibworth, is he still the owner we wonder? Apparently not! 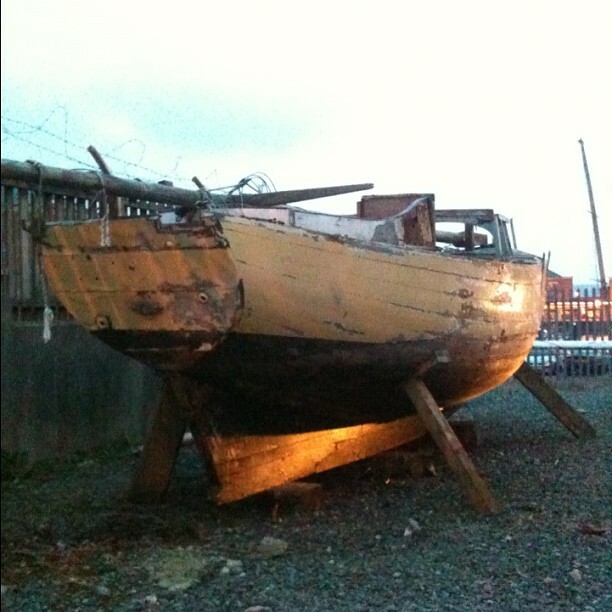 Thank you for the reply, I thought I might add that there is a picture of my little wreck on your website. I came across it quite by mistake. See the 3 tonner I've got my hands on is "Brie". If only she looked like that now. 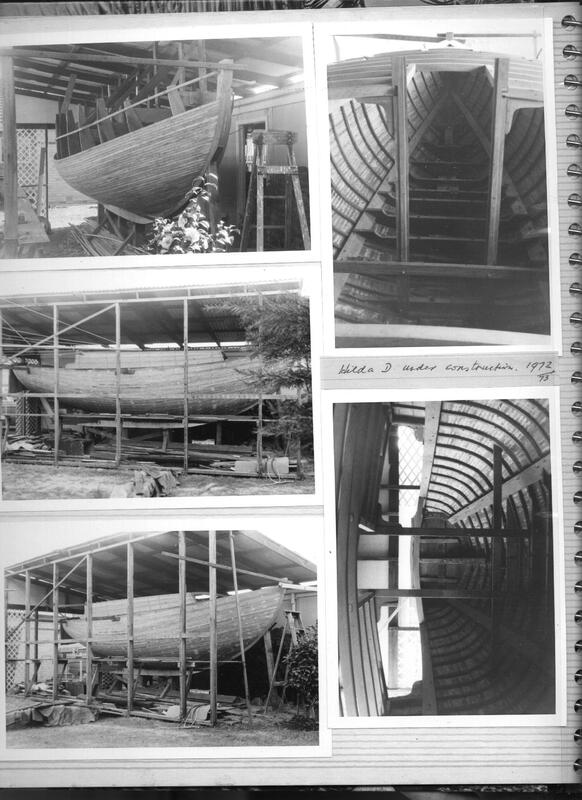 Luckily I'm a 2nd year boatbuilding student with no-end of enthusiasm. I am actually planning on making some sort of blog of the work going on. However I'm not sure how long it will take as I can't work on her full time yet. Thought your organisation would be interested. The CD will be very useful, thank you again for your time. P.S. Here are some rather sad current pictures. Does anyone know this boat? 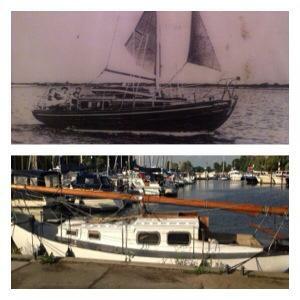 There is a possibility that it is the same boat as in the black and white pictures. Interesting to note there is an Eventide and a Waterwitch in the background. We think this is a 3Tonner, can anybody tell, Mike Ash would like to know! 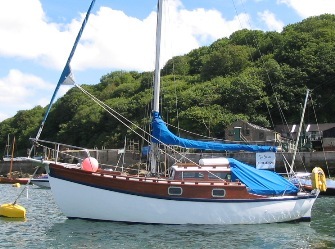 May 2010 Mike has been back, it is a 3 Tonner and he bought it, she is called 'Petite Fleur' now moored in Cornwall. 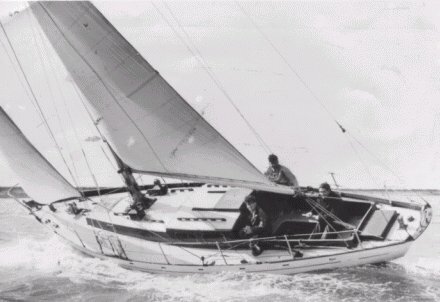 Alan H. Buchanan 10 Metre. 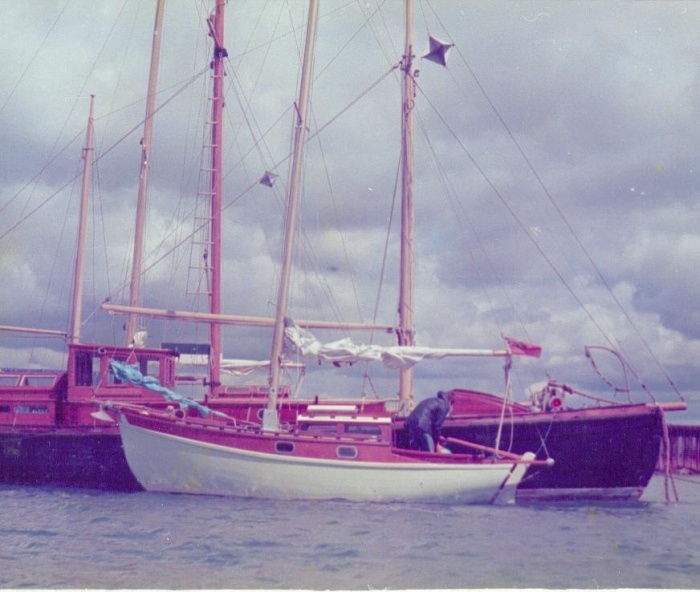 We have just heard from Roby and Marick, the owners of 'Santiago', apparently the boat is ok after Hurricane Dean passed through Martinique, 16.08.07. 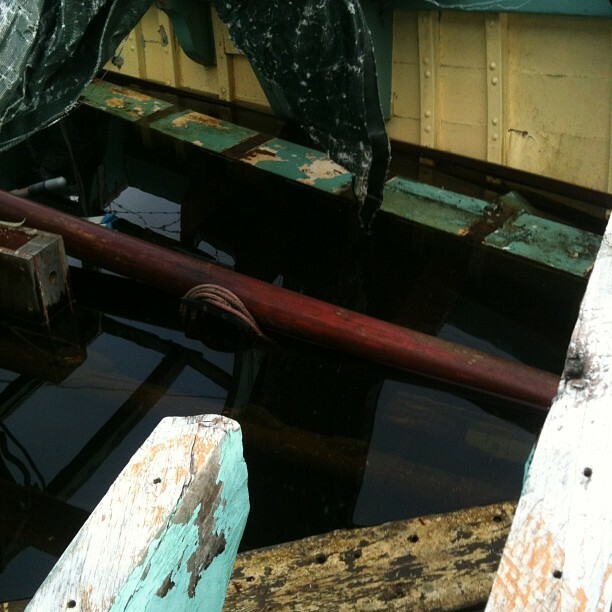 They have her ashore now repairing the steel plate hull. Hope to hear more from them soon. 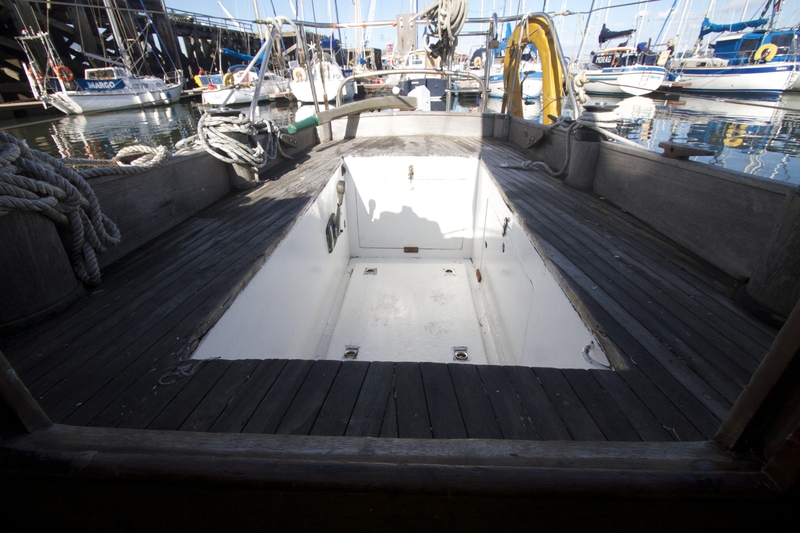 Details of Alan's De Ruyter class boat. 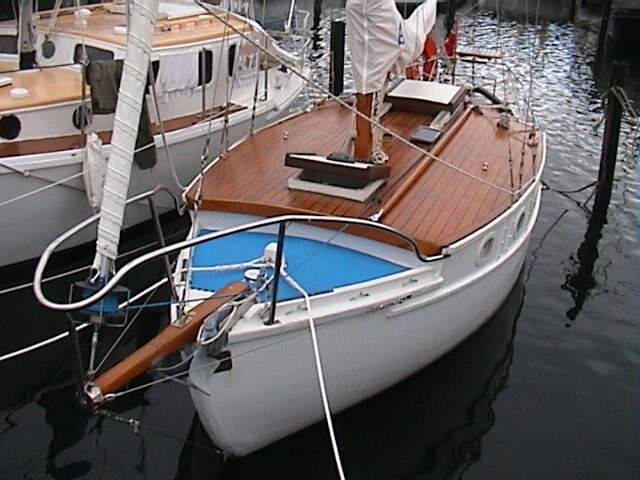 Kayann Built 1991/2 in iroko with ¾” thick planking, bronze-fastened and glued, based on the Alan Buchanan YM 3-tonner design, but with m/h rig, lead keel, s/d cockpit, side decks. Double-skinned transom. 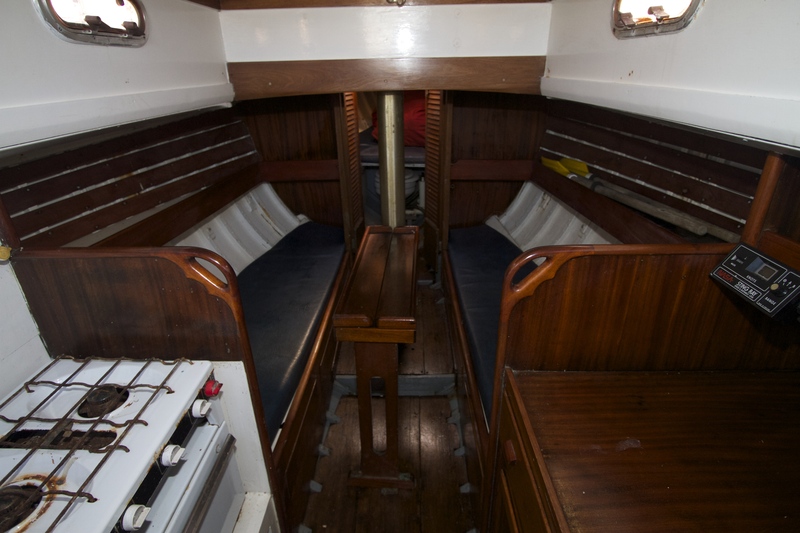 Teak deck, coachroof, cabin sole, cockpit sole. The 3 Tonner 'Sanderling' owned by Mike Field. 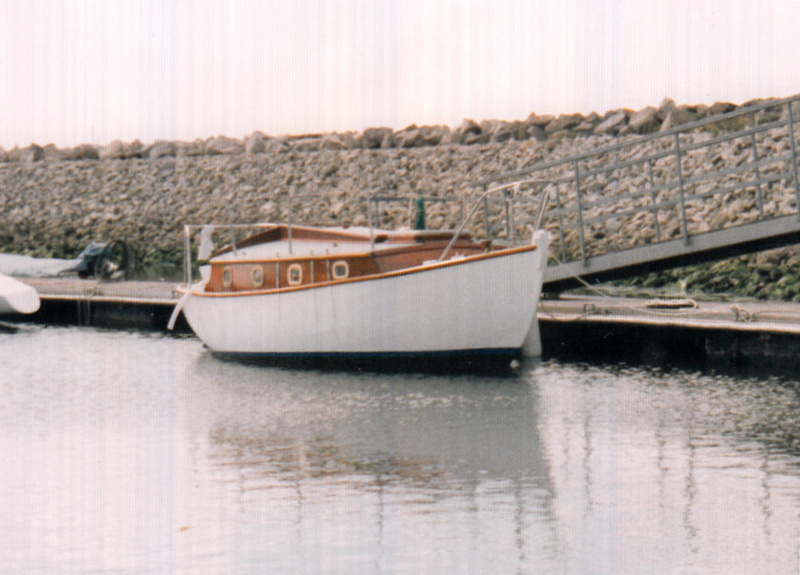 The boat (and Mike) are based in Australia. 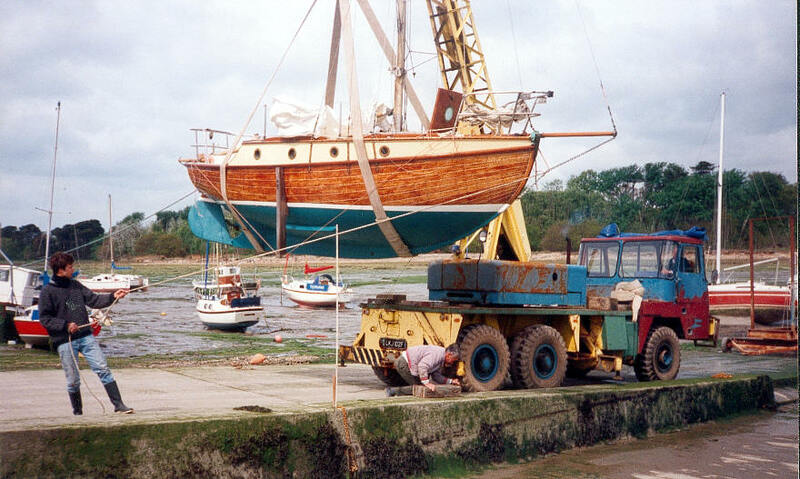 I believe this is another 3 Tonner, this pic was taken in 'Crocketts Bay' any clues.?? These were taken from the web, November 06, where she was for sale. in South Australia. who owns her now? Same boat as above I think? 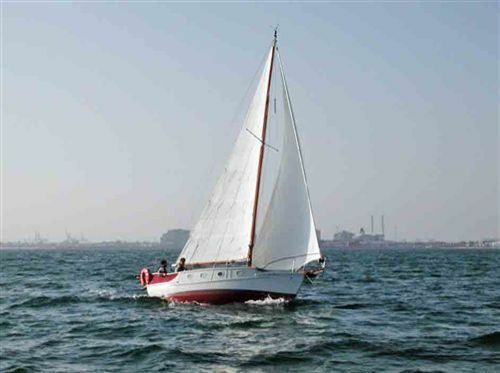 Here we have the skipper in 'Port Phillip Bay' Come on do not be shy who owns this beautiful craft now. I found these files in my pile of discs, but I have mislaid the details on the owner. 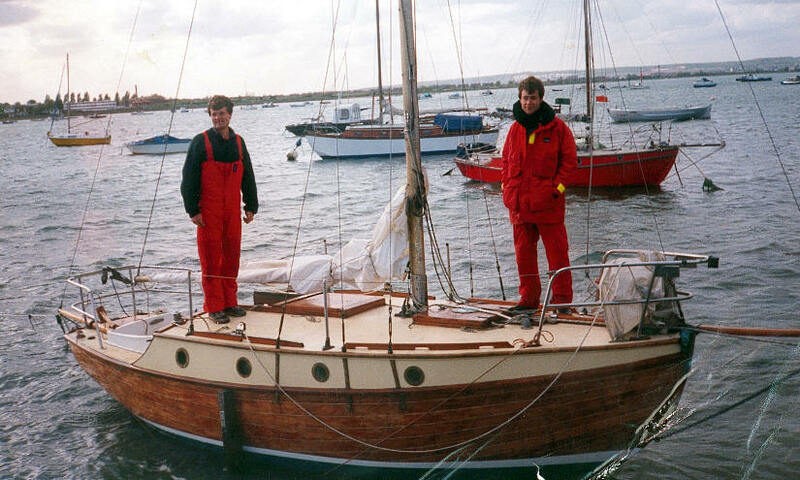 'Martooni' This beautiful Mk II Yeoman dates from 1958 and was featured in PBO November 2008. Pic from PBO. PBO list some of the other designs by Alan as, the Halcyon 23 and 27, the Wind Elf, MkII, the GRP Queen class, a development of the timber 'Vashti' and the Neptune and Nantucket class boats. 'Sparrow' ready to launch back in 1975! Built at Tim's yard on the Thames at Staines. 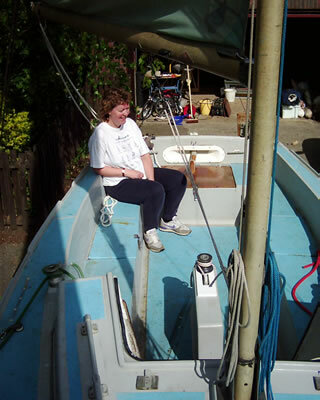 Nick never got to grips with her sailing, but a later owner took all the Club silver home with her! 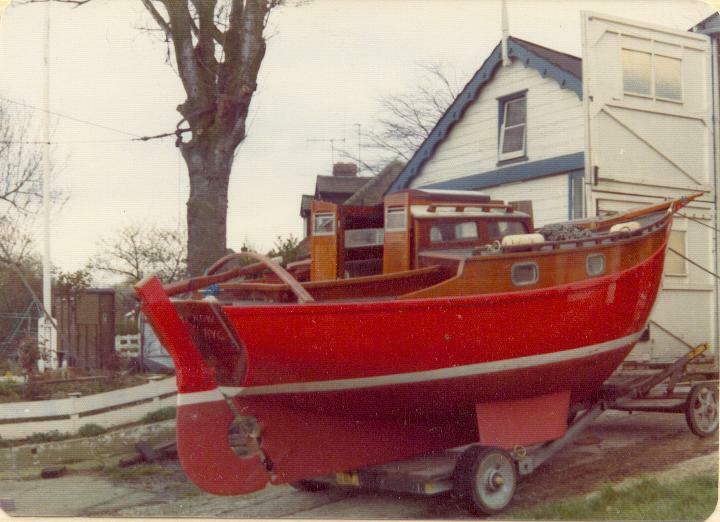 This is 'Sparrow' taken in Lymington 1978. the owner at the time was Nick Entract, I remember him... He would dearly like to know where Sparrow is today, can you help? Contact Nick at n.entract at ntlworld.com I have just mailed Nick, Nov 06! 'Sparrow' up for sale! 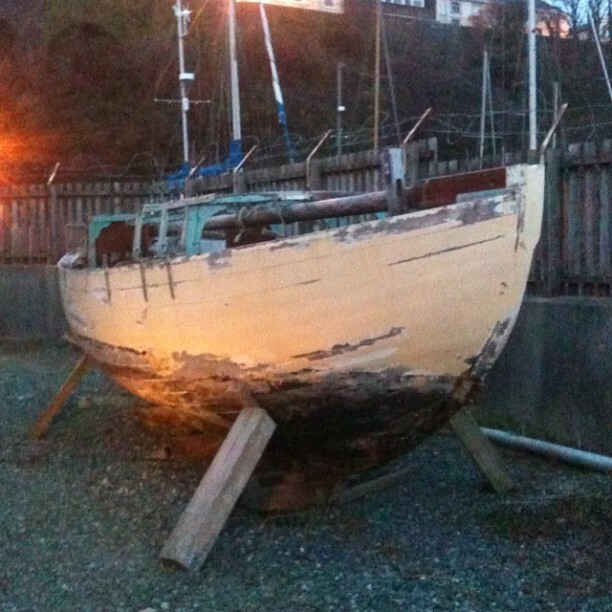 November 06. the former owner, Bryan has just bought the next vessel in the gallery. 'Blue Waves'. Bryan is one of our latest registrants Nov 06. 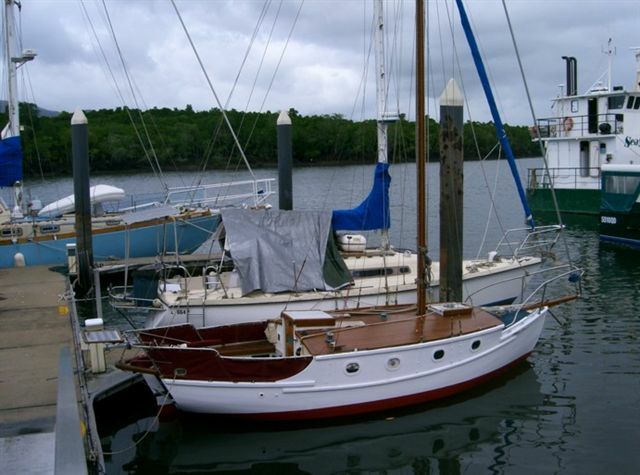 'Blue Waves' a Buchanon Wind Elf design, now owned by Bryan, last owner of sparrow above! 'Floray' For years I have admired this vessel, sailed by Mike and Heather Gager out of Tollesbury, here she is out of water to reveal her Buchanan lines! 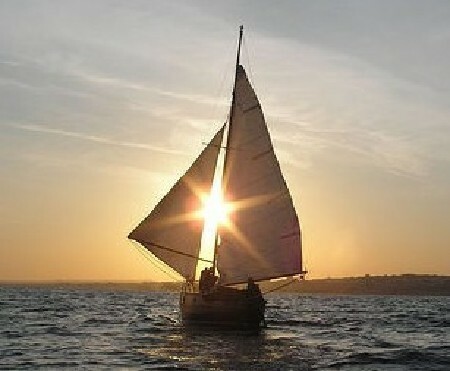 I will have to get one of her under sail, she is a picture! 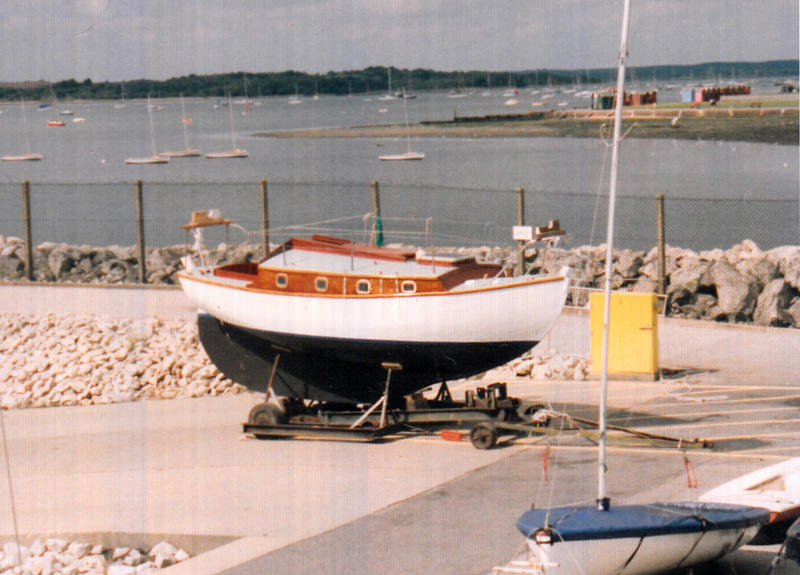 Thanks to J. Stevens for this pic, of her ashore at Tollesbury Sailing Club. 'Panda'. A SeaFarer! 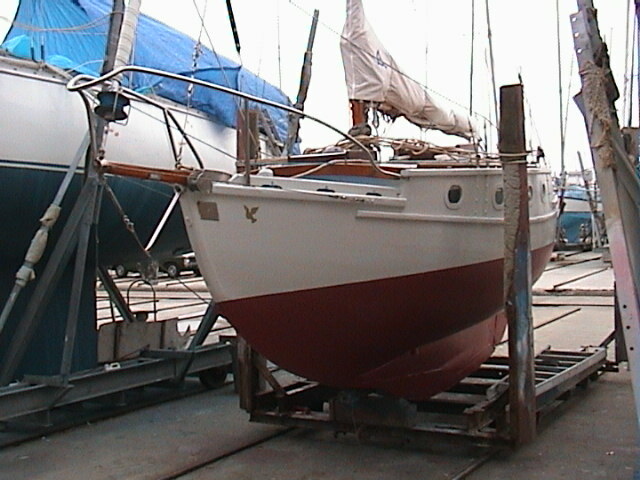 August 2007, just purchased by Chris Reed, who has joined us. He bought this for £10.00 so he tells me! there is a bargain I missed! 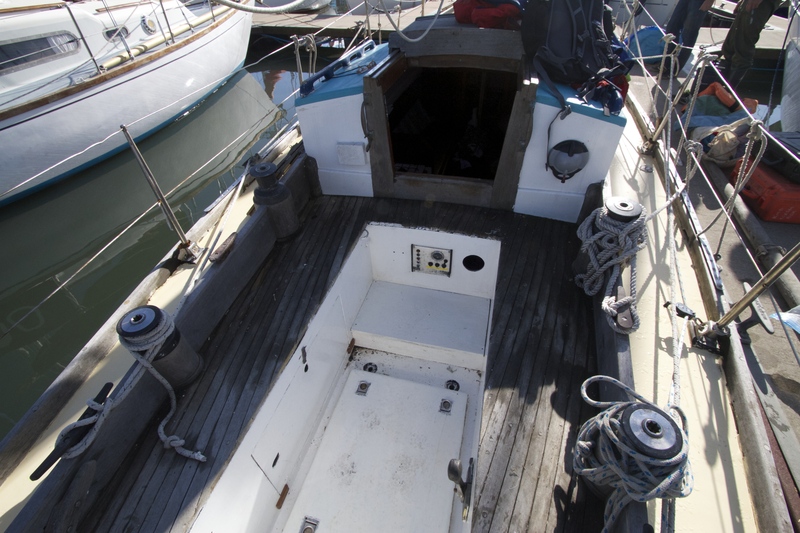 Yes she is in need of a little TLC, but the hull is GPR and the woodwork is manageable. Hope to see her sailing before too long! 'Tumbleweed'. 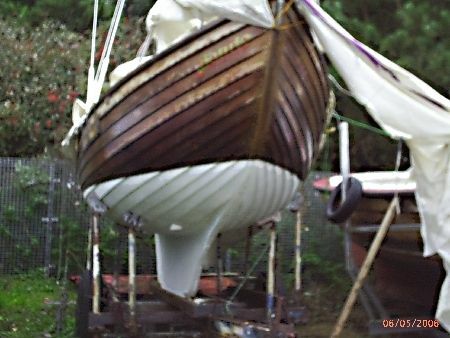 I found this boat in the Scillies July 2011. I had seen it years ago but neglected to take a picture. She is probably available to buy. 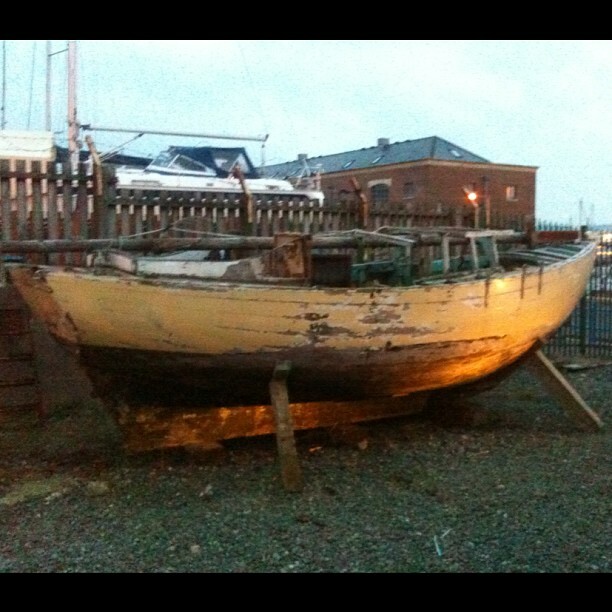 she was for sale.... contact 'Rat Bags', St Marys, for more details. they used to own it and hired it out. The lines are still sleek even if the gel coat has faded! 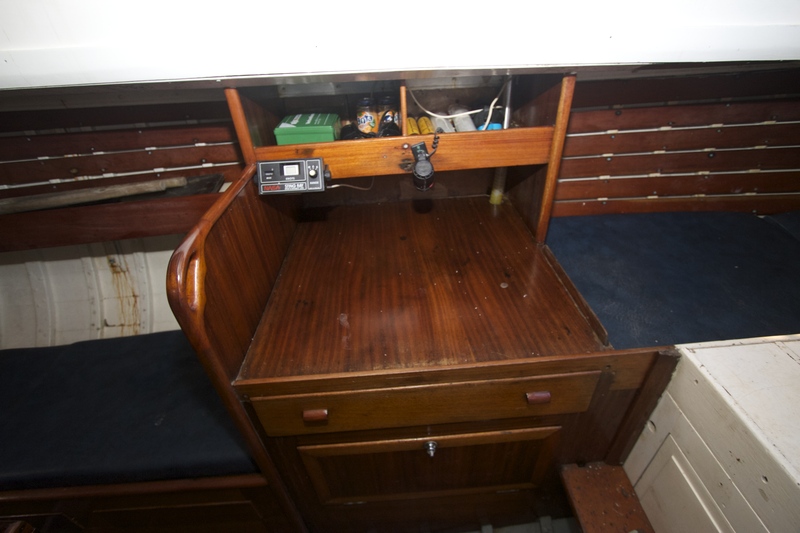 I took this of the cockpit, as I have had my eye on one locally (in Essex), for years and when it becomes available thought the cockpit lay out might be useful. 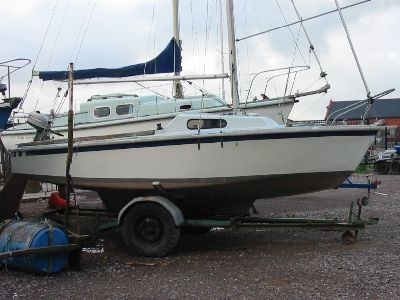 This smart looking SeaFarer is 'Bechod', found on the web, having just been sold! Seems to be an all GRP version. 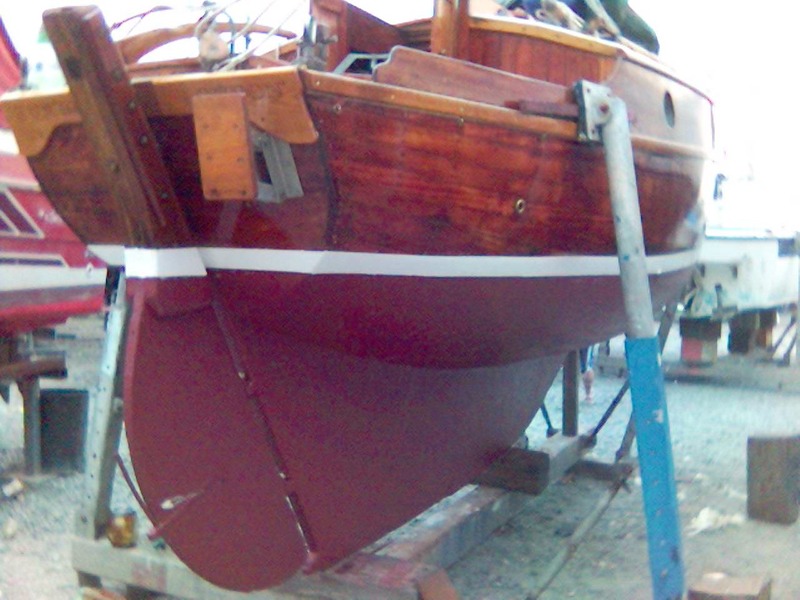 Like the sheet winch for raising the drop keel. Andrew Scot's nice looking SeaFarer 'Missee Lee'. East Anglian 'One Design'?. 'Hippocampus' another of Alan's successful designs. 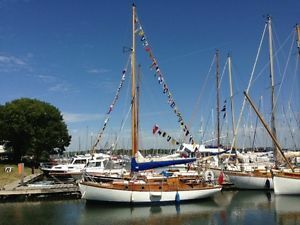 First of all I enjoyed looking at your very nice website, as I’m a fan of Alan Buchanan’s designs and wooden boats in general. Just a note to say that the East Anglian couldn’t be classed as a one-design as there are slight variations to coach roofs and other small differences, and so was designated the East Anglian restricted class. 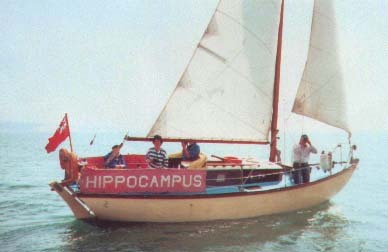 I am also particularly pleased to see the photograph of Hippocampus, as my family used to own her in the early 1980s. 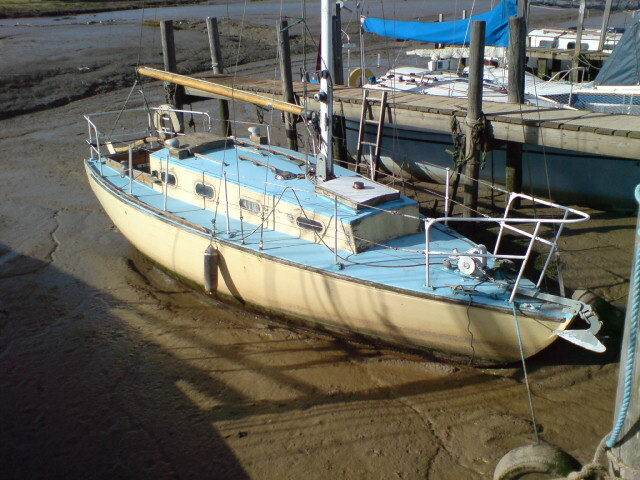 She is a mark one East Anglian with a Clyde Cruising Club coach roof (stops before the mast), and was built at St Osyth in the 1960s . Hippocampus is iroko on oak below the waterline and mahogany topsides. I don’t know if this information is of any use but thought I’d get in touch. 'Humbug' Great name for a 3 Tonner! for sale on the net, hope the new owner joins us to give more details. Found by J. S. of course. 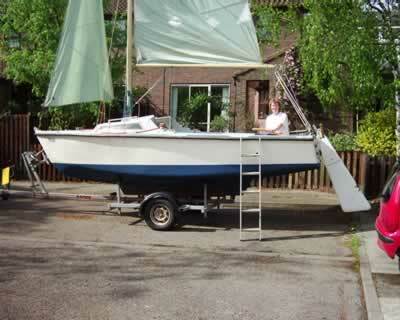 Another found on the net for sale, by J. S., on boats and Outboards site. 'Aelfwyn' a Buchanan designed 'Saxon' class I now have been informed, by the owner, Timothy. 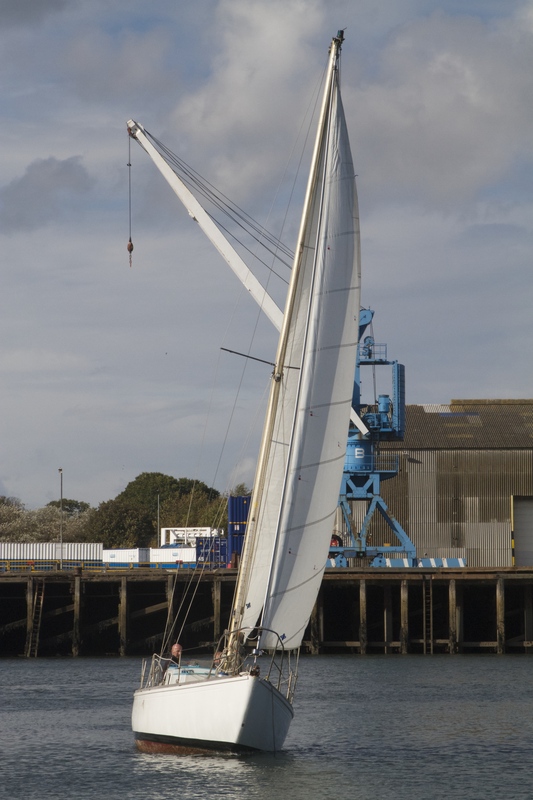 She was snapped in the Blackwater near to the Nass beacon, September 2007. Unmistakably an Alan Buchanan! Timothy has been in touch to add a few details. She was raced by Alan Buchanan in Burnham Week, 1961 and did very well apparently! She was in Belgian ownership for some years and raced from Ostende, then registered in Australia! Tim has owned her for the last 3 years. As she slowly sailed away from me I could not resist taking a pic of that stern! 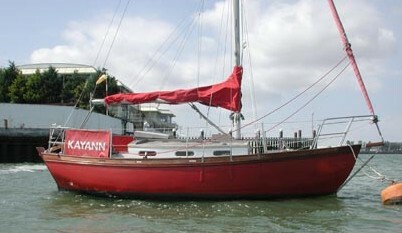 'Zanzibar' A 3 Tonner. Mike is writing up a page on the restorers section for her, click here to go there. This Buchanan design was spotted for sale on the web October 2008 by John Stevens. 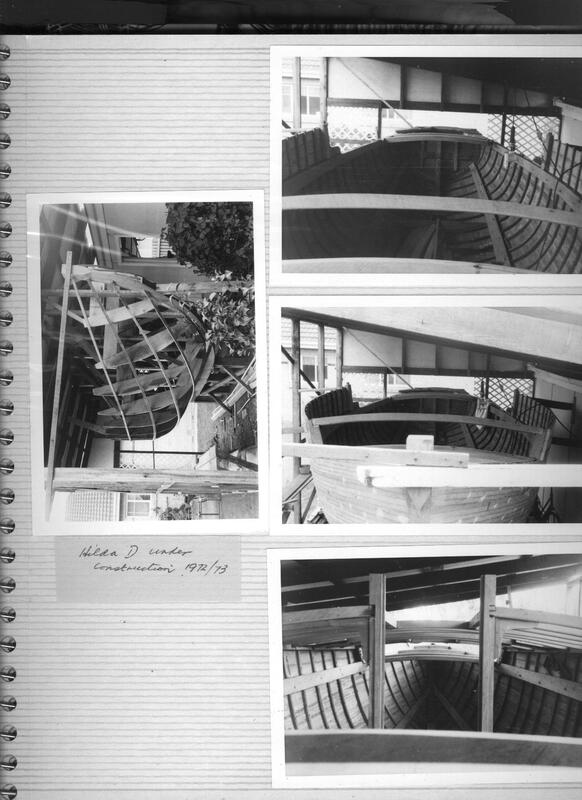 I had no idea Alan designed clinker boats. Anyone know anything about her? Spotted on a mooring in Salcott Creek West Mersea! sadly did not catch the name. A Neptunian I believe. 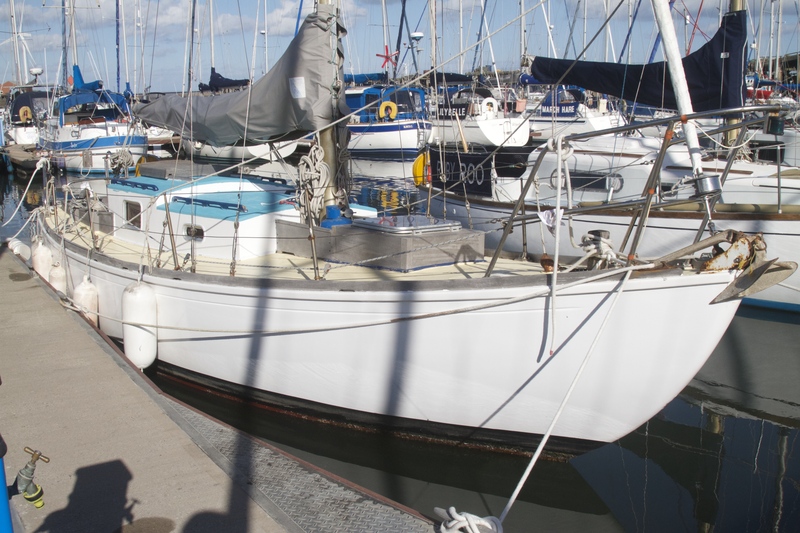 Buchanon 24 for sale in St. Osyth, Essex November 2011. 'Monique'. 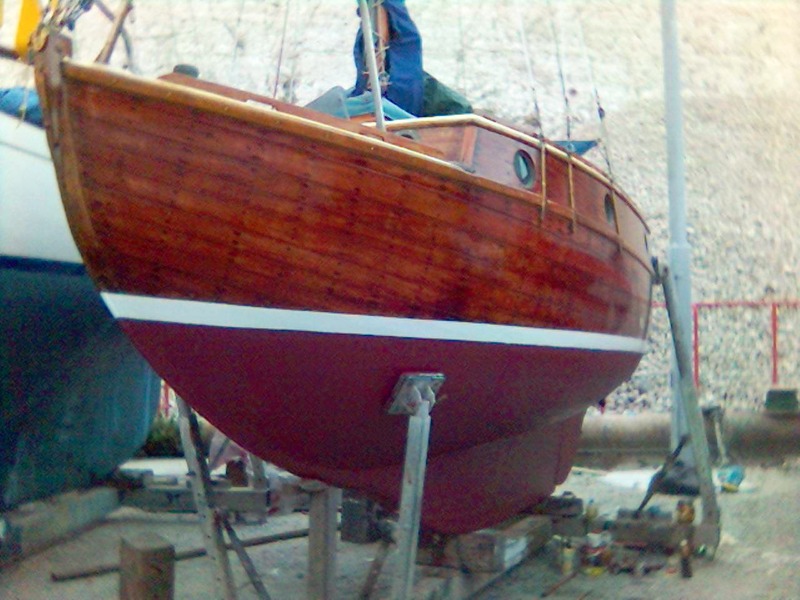 Seen her when she had been refitted a few years back and was about to be re-launched. 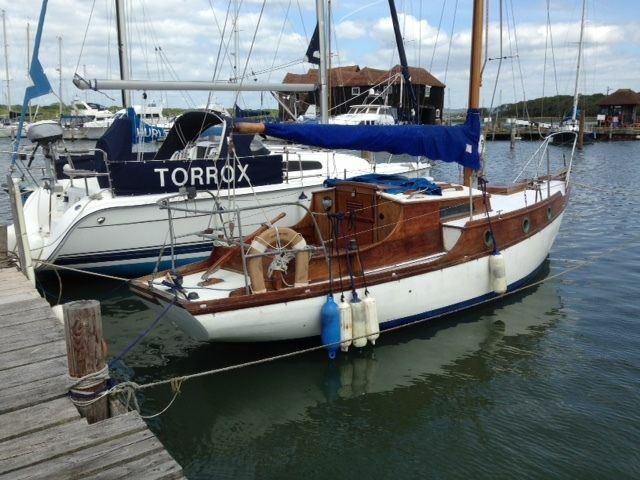 The new owner has her ashore and is restoring her as she sadly was neglected for a while. Let's hope she gets to look like this again! 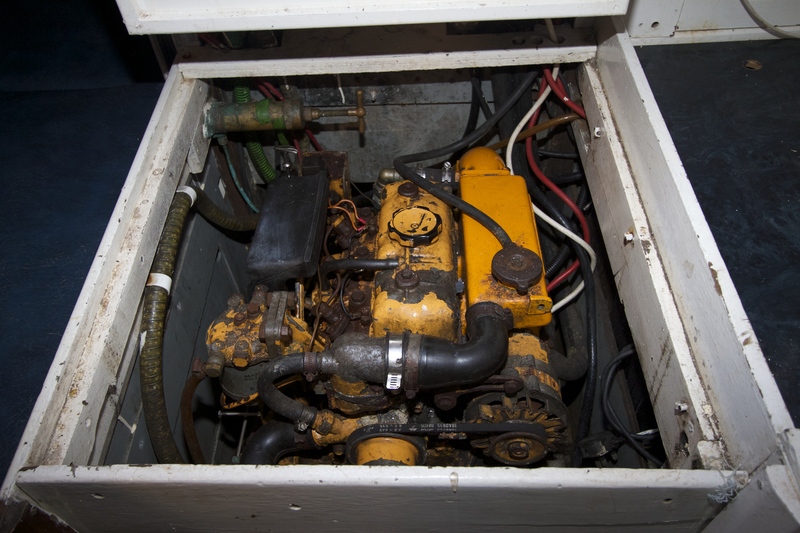 We recently became the proud owners of an Alan Buchanan East Anglian MK II in a bit poor condition. 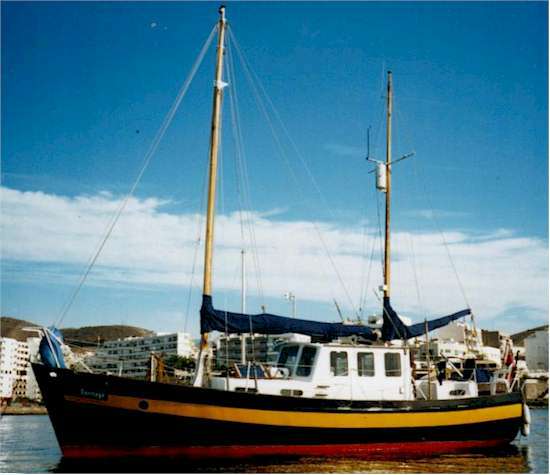 The ship was built in 1966, the first registration we can find is in 1989 in the Netherlands, then named “La Paloma”. We are very interested in her history, perhaps you can help us, place an ad on your website or maybe you can help us otherwise. Anything is useful to us. In the attachment you will find a picture from the past and the present. 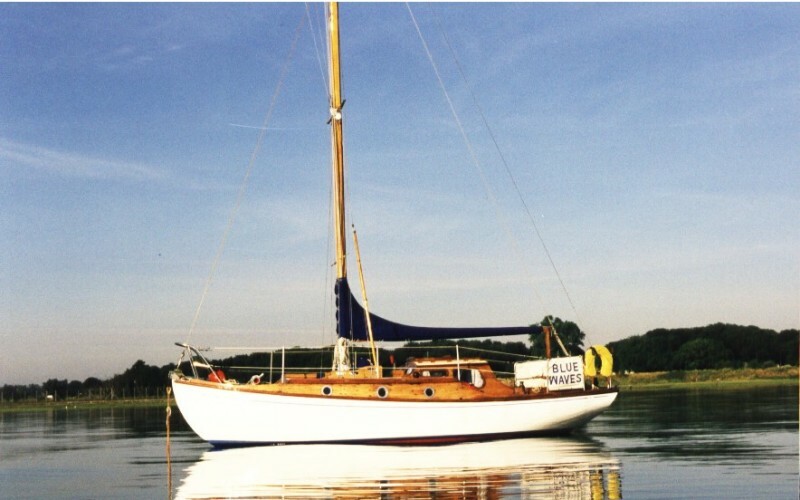 ‘La Simpatia’: 1962 East Anglian MK1. For sale on our pages March 2013. 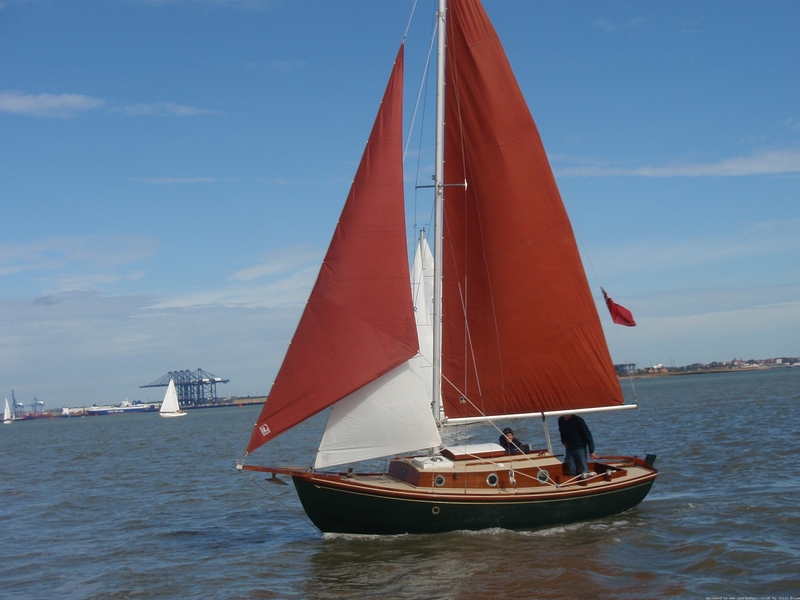 'Running wild ' She is up for sale on our pages, April 2015, what a nice looking boat. Based on the Deben. Custom Bronze bow roller (2010). 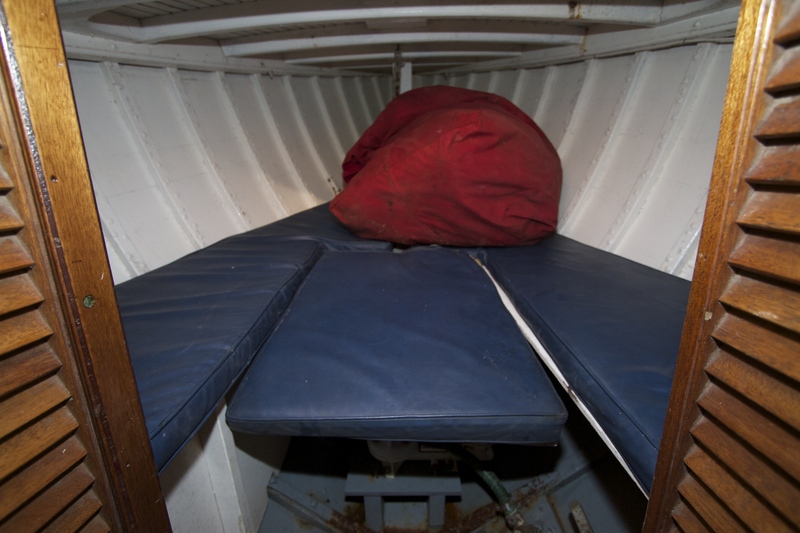 Down below she has 3 good sized berths, an Origo spirit stove, gimbled oil lamp, brass clock and barometer, sink with fresh water pump and plenty of stowage. Looks like a sail away boat! 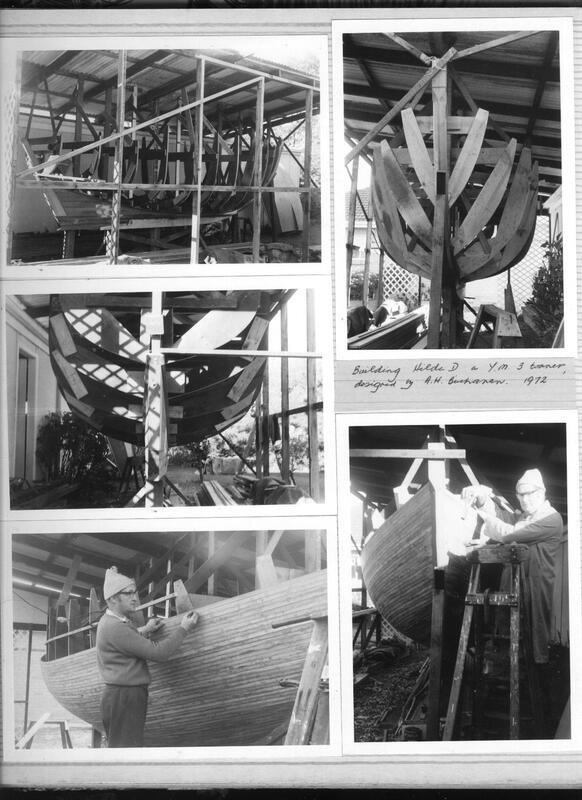 According The Rudder (1954, vol 70) the Sea Spray (26'1" x 20' x 7'2" x 4’6") was designed by Alan H. Buchanan of Burnham-On-Crouch, Essex, England, for a designing competition held by the New Zealand magazine Sea Spray and was awarded first prize. 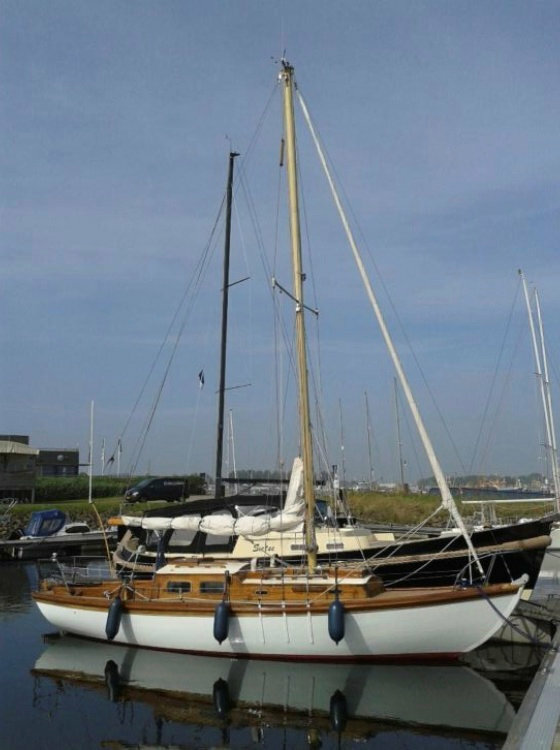 Halcyon 23 owned by relative of Chris our GRP advisor in the Netherlands and up for sale April 2016, see For Sale page. Designed by Alan Buchanon of course, like her bigger sister the 27! 'High Time' a 25ft long 'Wind Elf' design seen for sale on the internet December 2016. 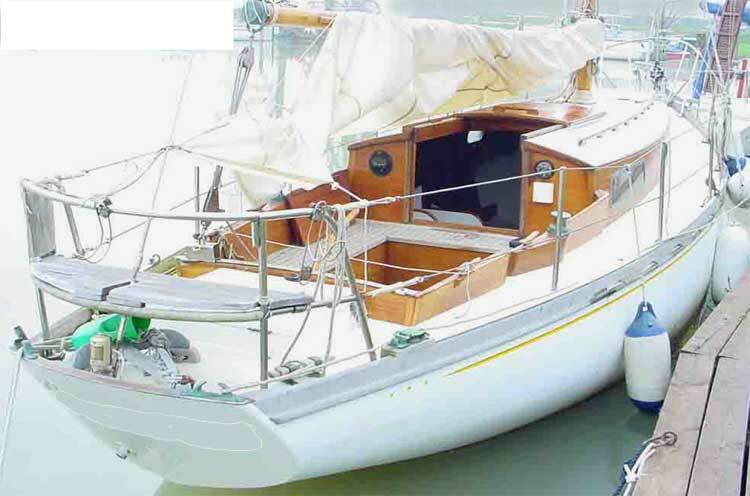 She is a very beautiful boat and has plenty of work done already, just needs a caring new owner to carry on the maintenance!